This recreation topographic Mapbook of the Kootenay Rockies BC Topo region of British Columbia (BC) highlights all the logging/resource roads, hunting areas, fishing lakes & streams, campgrounds, paddling routes for canoeing & kayaking, backcountry campsites, backcountry huts and cabins, recreation sites, wildlife viewing areas, motorized trails for ATVing & snowmobiling, hiking, mountain biking, backcountry skiing & more. Featuring 51 maps at 1:200,000 scale, this Mapbook covers 95,440 km2 (36,850 mi2) in total. Special features include private land, labelled fish species and countless roads, trails and recreational Points of Interest. 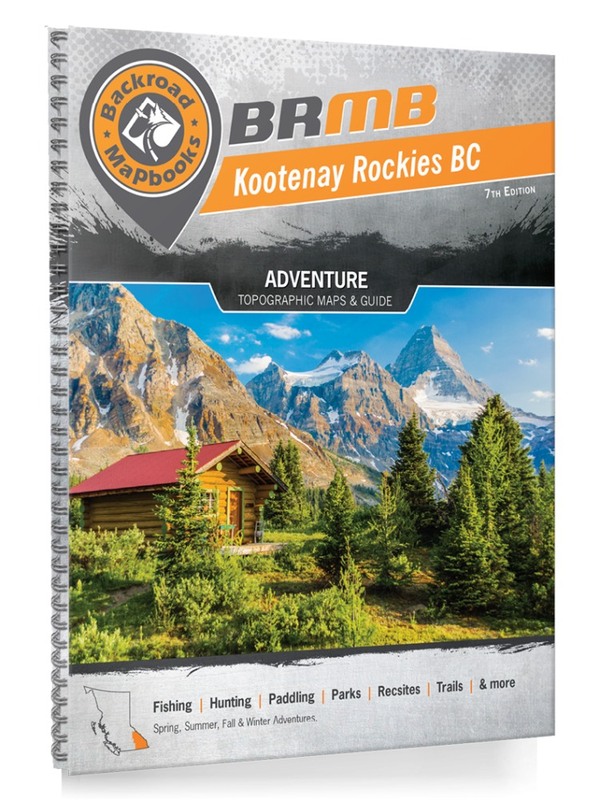 These maps include Arrow Lakes, Castlegar, Christina Lake, Creston, Cranbrook, Edgewood, Elkford, Fairmont Hot Springs, Fernie, Glacier National Park, Golden, Grand Forks, Invermere, Kaslo, Kimberley, Kinbasket Lake, Kokanee Glacier Provincial Park, Kootenay Lake, Nakusp, Nelson, New Denver, Purcell Wilderness Conservancy, Revelstoke, Rossland, Salmo, Sparwood, Trail, Valhalla Provincial Park and more!